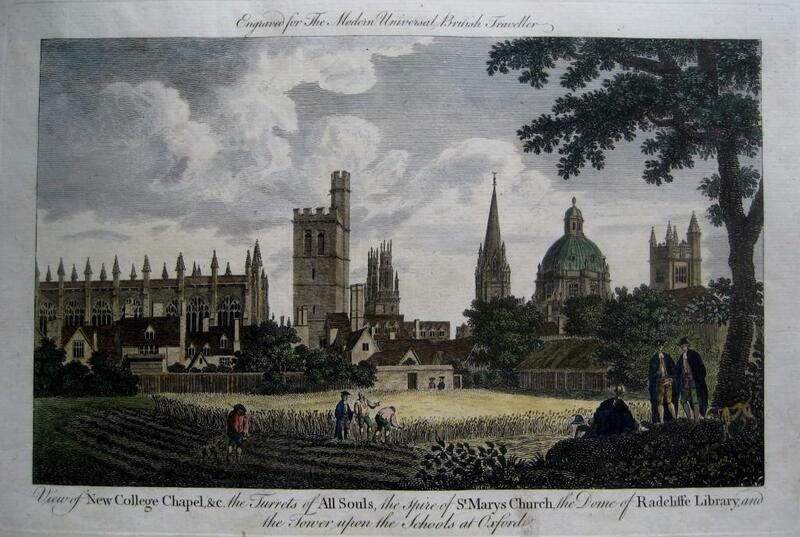 " View of New College Chapel, &c. the Turrets of All Souls, the Spire of St Marys Church, the Dome of Radcliffe Library and the Tower upon the Schools at Oxford." Copper engraved plate from The Modern Universal British Traveller by George Augustus Walpoole. Published by Alex Hogg London c1784 with later hand colour. This plate is in excellent condition without tears or faults. The image measures approx 27 x 19 cms with good borders.